This is all I have for the year so far. I'm sure it'll be added to in time. I often see this mine sweeper out in the Solent on training runs. The diving crew of this vessel back in 1987, pulled over thirty bodies from the The Herald of Free Enterprise. That's an interesting list and I hope you will kindly keep it updated for dublin as the spring arrives. hope the bridge works on the quays near the customary mooring place for naval ships will not deter visits by vessels. Those sweepers should be about tomorrow in Belfast. FS Meuse had this Alouette III embarked when she visited Malta about a year ago. Wonder if she'll be bringing the Alouette to Dublin next week. folks change of berth again - ocean pier -----anybody got a bike. Last edited by moggy; 25th March 2008 at 20:16. 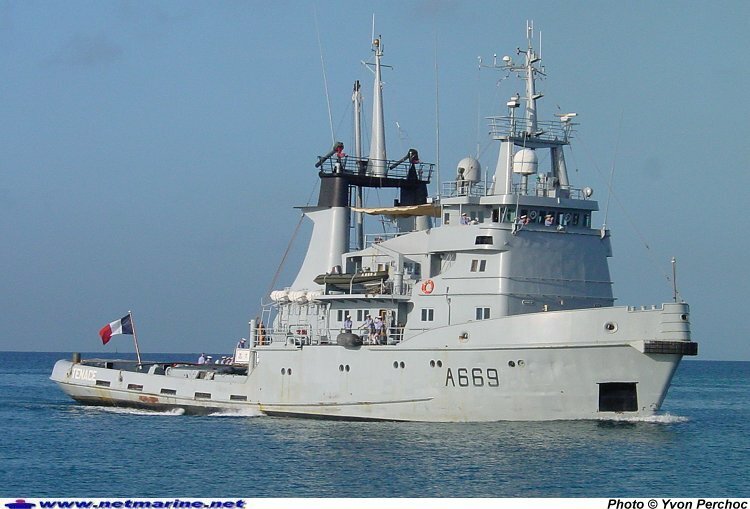 Is it a coincidence that the French Navy supply ship Meuse is visiting Dublin same time as the Mowags and stores are being loaded on to another ship for Chad? Another French vessel - oceangoing tug Tenace - due in Dublin next week. Here is a very limited set I have, as shown below of the now disbanded Northern Ireland Squadron. The last three Hunt Class vessels (M29,M35,M32) were used to to interdict the movement by sea of illegal arms for paramilitaries and to provide other material support for anti-terrorist operations in Northern Ireland. The Squadron's HQ was at HMNB Clyde. Last edited by pmtts; 26th March 2008 at 11:25. I think so. If Meuse is the sister of Loire, then its just the semi-annual visit, often with the school in tow. Vasa De Gama, Portugese Frigate, Dublin Thursday 10th april. Who is she? Came in to Cork yesterday. Yes, it's the Lubeck, Bremen-class frigate. Does anybody have any knowledge of other Navy ships due to visit Dublin in the coming months? FGS Lubeck and Rheinland-Pfalz are as mentioned earlier currently visiting Cork City, berthed at Horgans Quay and Custom House Quay North. Photos in the Gallery as always. Lubeck was Comissioned in 1990, and was the last to be constructed under post-war displacement limitations imposed by the WEU on West Germany. Rheinland-Pfalz was comissioned in 1983. Both are based at Wilhelmshaven. 2 Mauser MLG27 27 mm autocannons. Last edited by Goldie fish; 11th April 2008 at 22:41. Last edited by pmtts; 11th April 2008 at 20:47.